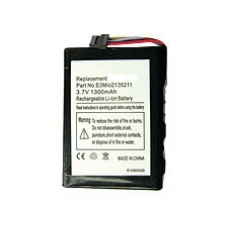 A replacement lithium-ion battery for the Navman ICN 500 SatNav Unit. Rechargeable batteries do not last for ever and over a period of time they discharge faster and faster. This is the time to replace your failing old ICN 500 battery. Replacing your Navman ICN 500 battery does not require any soldering you only have to unplug the old battery and plug the new one in. 100% Original replacement internal battery. * Replacement Part No: E3MIO2135211. * 3.7v 1300mAh. * CE Certified.